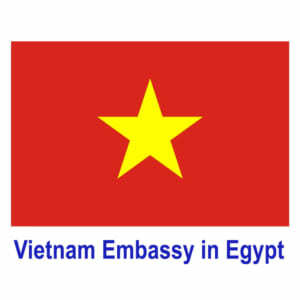 Cairo (VNA) – A delegation from the Ho Chi Minh National Academy of Politics (NPA) led by director Ta Ngoc Tan paid a working visit to Egypt from November 8-10, hoping to study scientific research methods and State personnel training. During a working session on November 10, Tan and Egyptian Assistant Foreign Minister Yasser Morad spoke about their countries’ socio-economic situations, aiming to create a closer friendship, intensified experience-sharing, and strengthened collaboration in trade and economics. The Vietnamese official highlighted Vietnam’s goals in its relations with other nations and territories, saying that Egypt holds an important position in Africa and the Middle East. While meeting with First Assistant Education Minister Hossam El-Malehy, Tan asked for Egypt to provide postgraduate scholarships. The host suggested the NPA and Egyptian research institutes foster cooperation in administrative reform, public administration, and scientific research and training – including political science. Currently, the two countries have yet to sign any agreements on education and training. However, Egypt will consider increasing scholarships for Vietnamese students and postgraduates, he added.